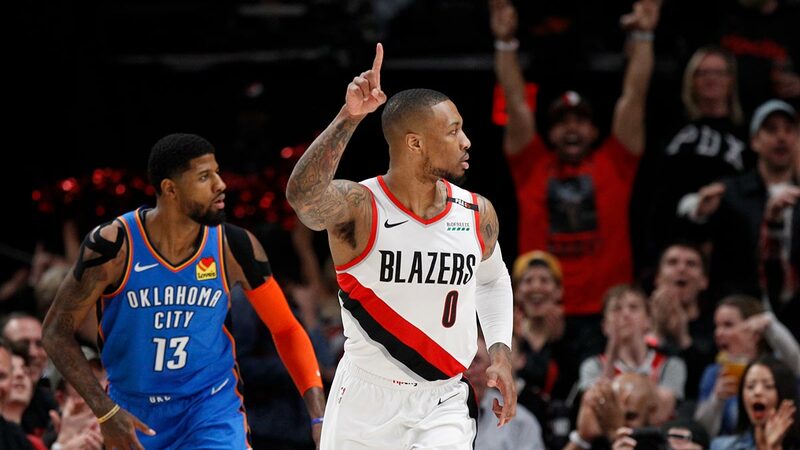 PORTLAND, Oregon — After eight straight playoff losses over the past two years, the Portland Trail Blazers finally got a win. Damian Lillard scored 30 points and the third-seeded Blazers opened their series against the No. 6 Oklahoma City Thunder on Sunday (Monday, Manila time) with a 104-99 victory.